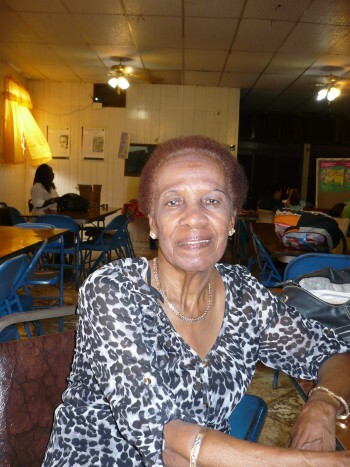 The following is a contribution from a member of our Silver People Community, Mrs. Shirley Johnson, the Superintendent of Sunday Schools at the Wesley Methodist Church in downtown Panama City. She is sharing it with us because, as she expressed to us, it comes from the heart during this historical moment in the history of the Silver People of Panama who had so much to do with the successful building and completion of the Panama Canal. It is a fitting tribute. As we look back and try to keep abreast with the fascinating history and life – line of our canal we could fervently call it: The National Inter oceanic Canal of Panama. Because it was given to our nation by God; and He gave it to a place where many foreigners and local citizens have tried so hard to do something worthwhile, something of value for the present and future generations of this land. Then, at length, after the numerous exoduses of foreign nations trying hard to dig high and low in order to pursue their ultimate goal, which was: the construction of an inter oceanic canal through the narrow pathway of the isthmus of Panama, which today is known to be, “The eighth wonder of the world”. Thanks be to God! It was really the french government under the direction of Ferdinand Lesseps and, most of all, the British West Indian workers who finally accomplished the masterpiece of the Panama Canal’s construction, project which was also shared with the government of the United States of America. Today, the Panama Canal and its wonders continues to function as a strong witness of our “rich heritage” which remains tenderly in our hearts. It’s really ironic for us to plunge into the past to recall the many obscure days and years of uncalled for discrimination and cruel treatment our forefathers received from our former employer who today has been simply thrown out of this project. (The Torrijos – Carter treaty signed 1977; the Canal was reverted in 1999). So, as you may see, we have quite a rainbow of nations in our midst making our country a great cosmopolitan host who is able to generously attend people from around the world. Our people are prone and dedicated to do this. We usually give our visitors the best we have to offer: our homes, our hearts and our treasures; not withstanding the cost of whatever we must do to make our guests enjoy their stay in Panama as long as possible. Therefore whenever they leave this country we are sure they’ll carry the better part of us in their hearts for keeps. The Panama Canal is our unforgettable and perpetual heritage and we must be proud of its stability, continuous progress and of the great amount of quality human resource who came to accomplish this outstanding project for us. In conclusion, I’ll bring to memory just a few of our West Indian Men and Women who have left us a legacy of their God-giving talent and life style which is worthy to be mention for the benefit of the growing new generation. 1. David Constable; the Panama America News Reporter 2. George Westerman; the first Panamanian to represent our country at the United Nations. He also was owner and editor of The Panama Tribune, a Saturday daily newspaper only in English 3. Sidney Young; assistant editor and publisher of The Panama Tribune 4. Mr. Ernest Jamieson also news reporter of the Panama Tribune his articles were entitled “Drops and Turnovers” every Saturday. 5. Two prestigious vocalists: Madame Olga King; She received a gold medallion honoring her talent. Ms. Esmey Foster a dynamic soprano with a voice that filled the church and the hearts therein when she sang. 6. Mr. Henry Hairwood senior man of extraordinary expertise on wood work – who made the large benches of our Wesley Church that have remained through the years. 7. Lic Hugo Wood, Radio communicator (Hog Radio Station). 8. Religious Leader, Dr Ephraim S. Alphonse who taught the Guaymies language at the National University of Panama (to age 75) translated the 4 gospels to Guaymi, a Dictionary the prayerbook and a Hymnal Book, 9. Doctor Fiffe, Dr. Lindo and Dr. Charlie Fairweather the best black doctors in the Republic in their time. 10. Sir Arthur Pyle a Poet– one of the many. Indeed this gives us the assurance that our people are capable of overcoming many challenges today as they did in the past. May God continue to bless our country, our people and our canal which now has victoriously reached its first centennial of laboring experience. Happy Centennial to our Canal! This entry was posted in Panama Canal and tagged Centennial Anniversary of the Opening of the Panama Canal, innauguration of the Panama Canal, Panamanian West Indian writers, Shirley Johnson, West Indian Workers in the Panama Canal. Bookmark the permalink.